If you’re someone who’s not confident about pulling off a mini skirt or a sleeveless top because you have dark elbows and knees, don’t worry, you’re not alone! Many women share the same problem. Our elbows and knees tend to become dark and dry because of dead skin cells accumulating at the joints. Also, the act of kneeling and resting your elbows on the table (basically, moving your joints frequently) cause the skin to roughen and thicken, forming calluses, which ultimately results in making our elbows and knees appear dark and drab. But, luckily for you, this can be treated at home! Here is a list of 8 natural ways to deal with dark elbows and knees. It’s not rocket science to make this mix - all you need are two simple ingredients, sugar and olive oil. While sugar makes an excellent exfoliate for banishing dead skin cells, olive oil on the other hand acts as a natural moisturizer. The best part, it’s easily found within the four walls of your kitchen! Here’s how to make this magic mix. Step 2: Mix till it turns into a paste. Step 3: Apply the paste to your elbows and knees. Step 4: Using your fingers, slowly massage the areas for about 5 minutes. Step 5: Wash off the mix with a gentle herbal soap and lukewarm water. It’s fresh, it’s 100% natural, and is loaded with goodies for your skin. This powerful plant is also known to reduce sun damage, which aggravates the problem of dark elbows and knees. 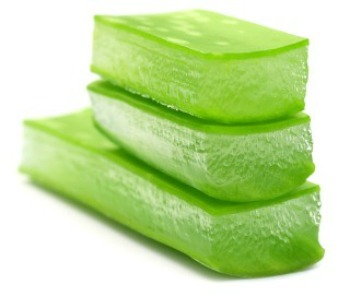 The sap of the aloe vera plant acts as a moisturizer and prevents dryness, and at the same time also lightens the area. Here’s how to make the gel work to your benefit. Step 1: Pluck a stem from an aloe vera plant. Step 2: Then, take out the gel by gently breaking the fleshy stem (it's actually a leaf!). Step 3: Apply the gel on the affected areas. Step 4: Leave it on for about half an hour. Step 5: Wipe the gel off using a damp cloth. 3. Time to Make Some Fruit Juice! 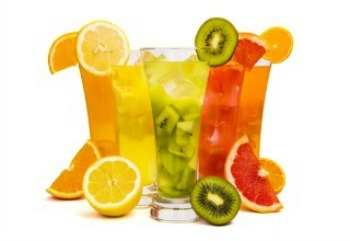 Did you know that fruits like tomatoes, grapes, apples and sweet lime have natural bleaching properties? Apart from bleaching, they also exfoliate the skin and remove dead skin cells. Here’s how to make the best use of these “bleaching fruits”. Step 1: Squeeze the juice from any of the above mentioned fruits. Step 2: Instead of drinking the juice, apply it on your elbows and knees. Step 3: Wipe it off with a wet cloth after 15 minutes. Step 4: Do this every day for a couple of weeks to get effective results. Gram flour not only makes an important ingredient in our food, but also does wonders for our skin! Well, it needs a little help from lemons too. 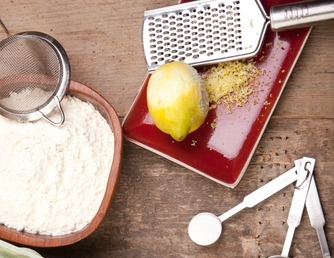 :) As separate ingredients, gram flour acts as a skin cleanser, and lemons act as a natural bleach agent. Here’s how to put both ingredients to good use. Step 1: Add a couple of table-spoonfuls of gram flour to a glass bowl. Step 2: Squeeze a lemon, and pour its juice into the bowl. Step 3: Stir well to create a thick paste. Step 4: Apply the mix and rub it around the affected areas in a circular motion. Step 5: Leave it to dry for about 15 minutes. Step 6: Wipe it off using a damp cloth. 5. Bleaching Agents - Honey, Milk and Turmeric! 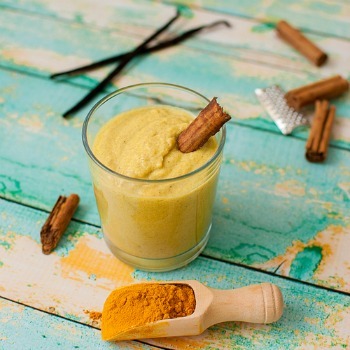 The antiseptic properties of turmeric, the lightening properties of milk and the moisturizing properties of honey are all it takes to kiss those tanned elbows and knees buh-bye! Here’s how to make a fabulous mix out of the three. Step 1: Mix equal parts of the three ingredients in a bowl to make a paste. Step 2: Apply the paste to the affected areas. Step 3: Leave it there for about 15-20 minutes. It’s amazing how regular ingredients in your kitchen can be multi-purposeful! Baking soda is a good example here. 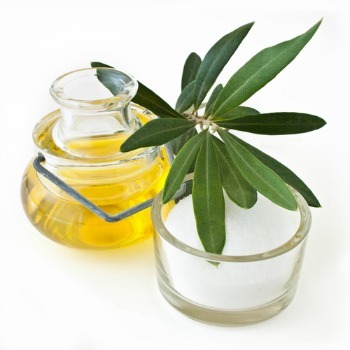 It not only improves the skins texture but also acts as a bleaching agent for tanned skin. Here’s how to use it. 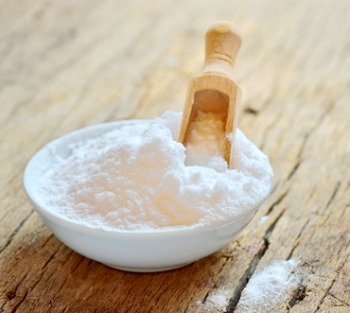 Step 1: Take a tablespoon of baking soda and dump it into a tiny bowl of milk. 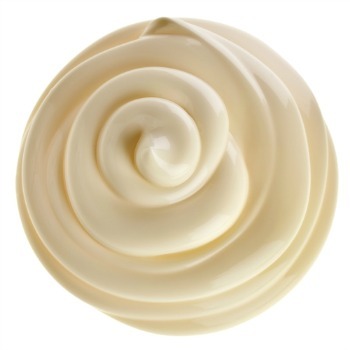 Step 2: Apply the paste on to your knees and elbows and massage in a circular motion for 5 whole minutes. Step 4: Keep doing this every alternate day to see results. When you merge these “poles apart” ingredients together, miracles happen! This mix is a boon to the skin especially if it’s heavily tanned or dry. Step 1: Take a few drops of vinegar and pour into a bowl of yoghurt. Step 2: Mix well until it forms a thick paste. Step 3: Apply to the affected area, and leave it there for about 15 minutes. Step 4: Using your hands, gently wash it off with water. 8. Merge Coconut Oil and Lemon Juice! Both ingredients are healthy for your skin and for your body as well. Lemon juice, as we mentioned earlier, is a natural bleaching agent, while the coconut oil is great for nourishing your skin. Coconut oil keeps the skin moist, glowing, hydrated and healthy. 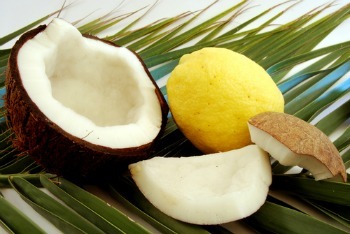 Step 1: Take a tablespoon of both coconut oil and lemon juice. Step 2: Stir well in a container. Step 3: Apply to the affected areas. Step 4: Leave it there to dry for 15-20 minutes. Step 5: Wipe it off using dry tissue paper/towels.